If you share with god… He will definitely either give you strength to fight.. Or he will come himself to help you….!!! But don’t feel down… You are good enough to do everything by yourself….!! Warriors are known for their strength, not only physical but mental too. Rather as the levels up mental toughness matters much more than the physical strength, and a true warrior is one who conquer his./ her weaknesses. Speaking of weakness tears though a safety fuse, rather than you, would make your caring ones weak thus leading to an interference to provide solace when you need is the steely resolve to fight once again. So yes we give tears to god who in turn give us strength to conquer our weakness. It was a fabulous read dear. Keep us engrossed with your deftly written poems. 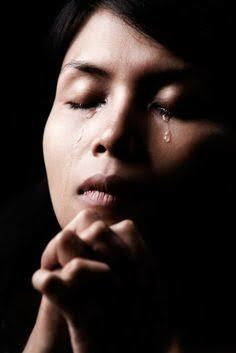 that tears to god because tears if you give to others it can make your caring ones weak..but God never gets weak instead he ll make you strong also..